Today, was nowhere near as busy as the past days have been, and much more relaxed. We got to sleep in today, since our bus didn’t depart until 10. We left Montecatini to go to Como, which was about a total of 4 hours. For lunch, our bus stopped at a rest stop, which was 2 floors! 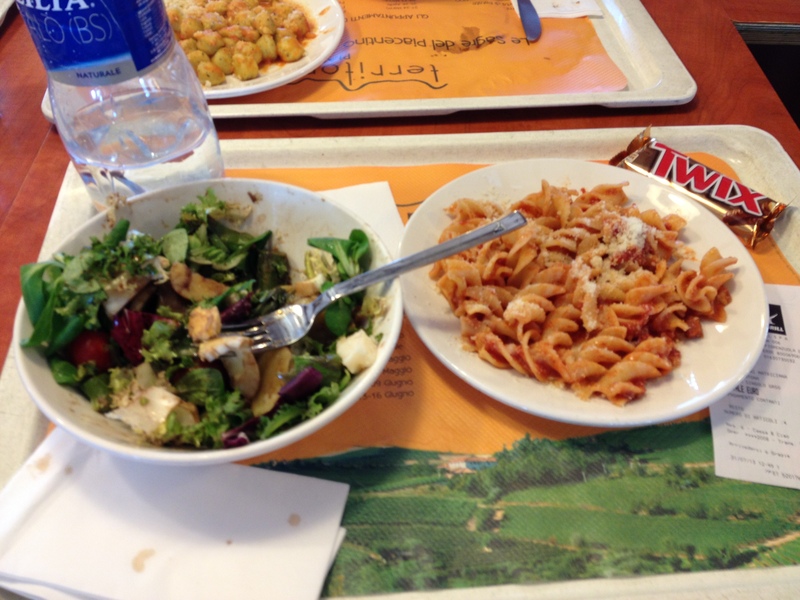 There was a buffet style lunch on the second floor, and than a grab and go kind of place on the first floor. The first floor also had various snacks to buy. We all got the buffet, which seemed fresher than our typical buffet. After we ate, we were back on the road until we reached Como. Once in Como, Giancarlo took us to a supermarket. We all thought everything seemed so much cheaper than our groceries. You could buy a bottle of wine for 2 euros, which is about 3 to 4 dollars! We all bought snacks, mostly chips, candy, and chocolate, for our rooms. 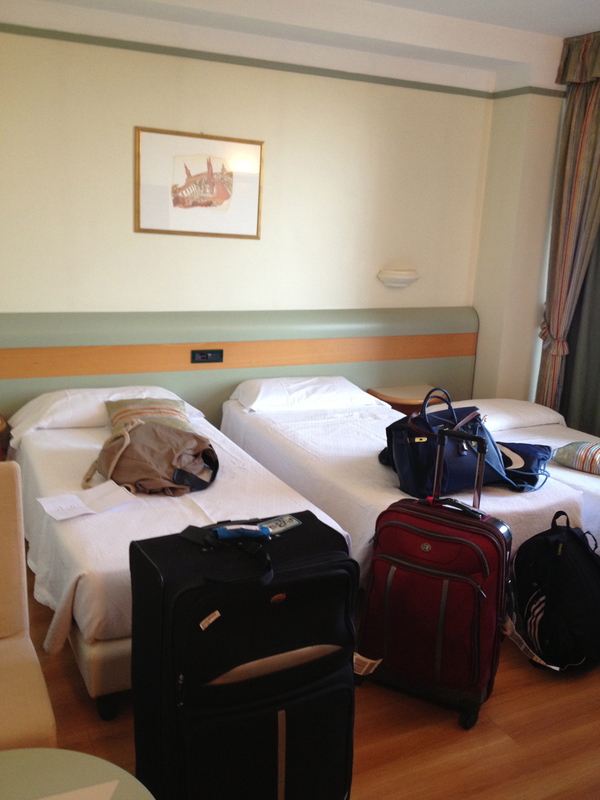 After our adventure at the market, we went to check-in our hotel, Leonardo de Vinci. This is by far the nicest hotel we have stayed at, except that there is only one electric outlet per room. The wi-fi seems to be working the best here too. 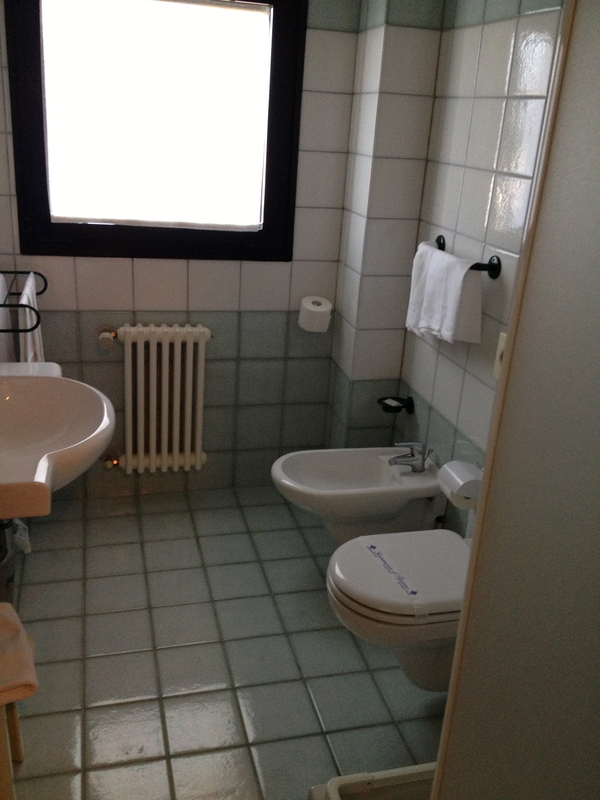 The bathroom in our hotel room. 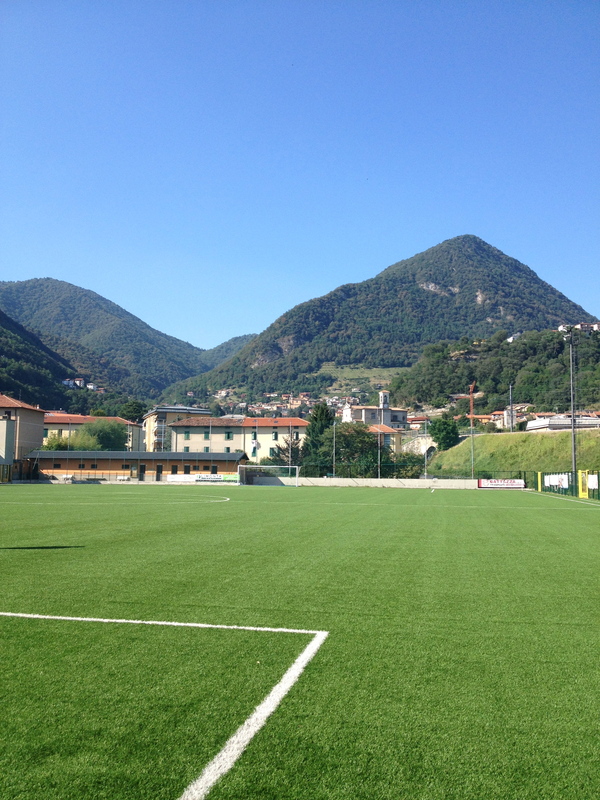 After checking in, we went to a beautiful turf field, where coach held a training session for us. The first part of practice was so hot, we were all dripping in sweat; the second part of practice was mostly in the shade, and it made such a difference. Once we were done practice, we went back to our hotel for dinner. Tonight we had salad, ravioli, potatoes, vegetables, pork, and fruit with ice cream. We are showering now and getting ready for bed. Tomorrow we have our choice to stay in downtown Como or go to Belagio, where we can go swimming! We also have our second game tomorrow, which will be a tough game for us. « Cinque Terre: Our future homes!